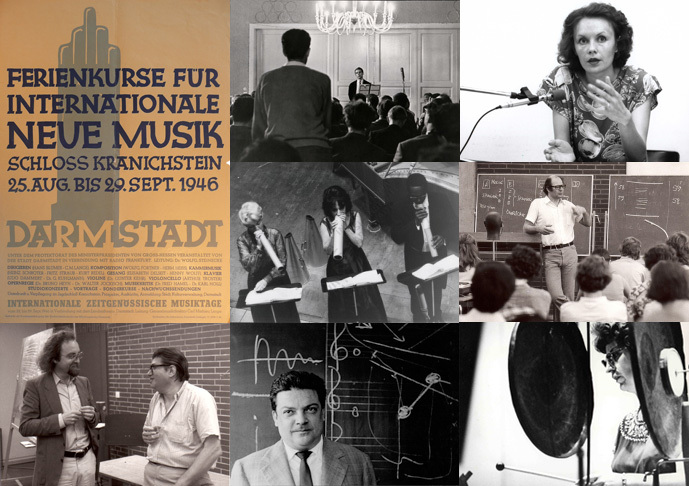 The IMD archive mainly hosts material on the history of the International Summer Course for New Music (short: Darmstadt Summer Course) that has been held in Darmstadt since 1946. From the early years until today the Summer Course has been a central point of reference for the technical and aesthetic aspects of composition as well as for the performance practice of contemporary music. It is a summer academy, discourse forum and music festival in one, and comprises a variety of formats including seminars and masterclasses for composers and interpreters, concerts, workshops, lectures and panels. A wide range of artists have visited the Darmstadt Summer Course over the years – some of them key figures of 20th century music history. That makes its archive one of the central collections for music after 1945. 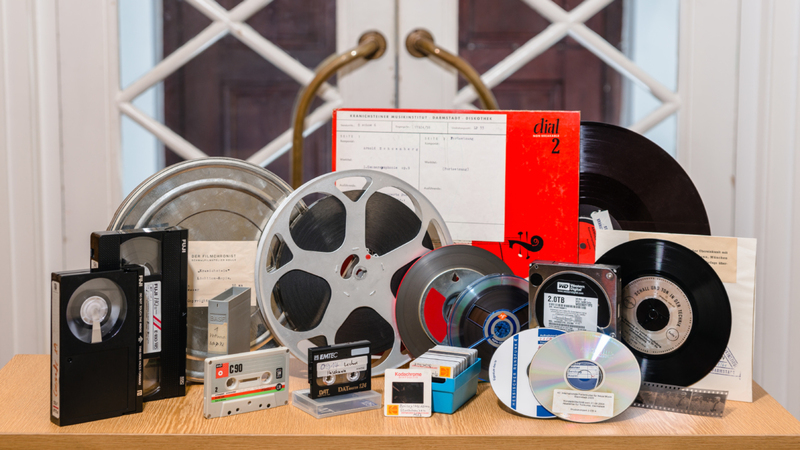 A variety of media – correspondence, photos, sound and video material – documents over 70 years of discourse on and performance practice in music. 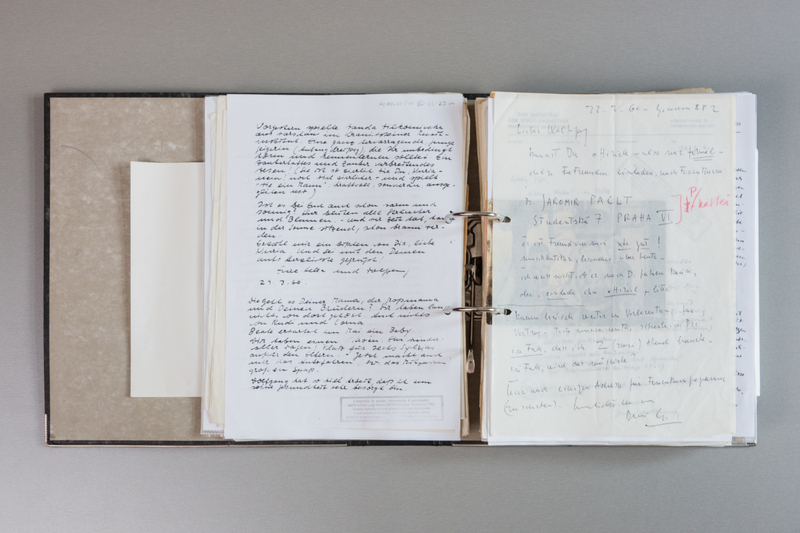 Over several years, most parts of the IMD collection were digitized, described and made available for online research. 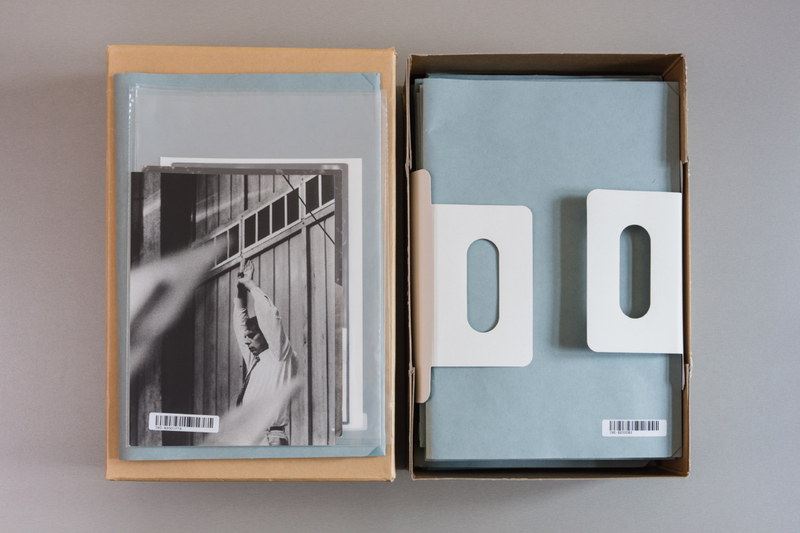 The digital archive comprises around 89.000 records: around 7.400 audio titles, around 27.500 photos and contact prints, around 38.000 letters, telegrams and postcards, around 13.000 administrative documents and around 1.700 other text documents. The digitized archive materials can be searched online and accessed for reasearch purposes and by appointment at IMD. Archive collections may be accessed in the reading room, only with advance notice. Please note the charges for archive services.